The Association of Insurance and Reinsurance Run-Off Companies (AIRROC) has named Luann Petrellis of PwC as the winner of the 2018 Person of the Year award. 2018 marks the 14th year that AIRROC has bestowed this annual award. 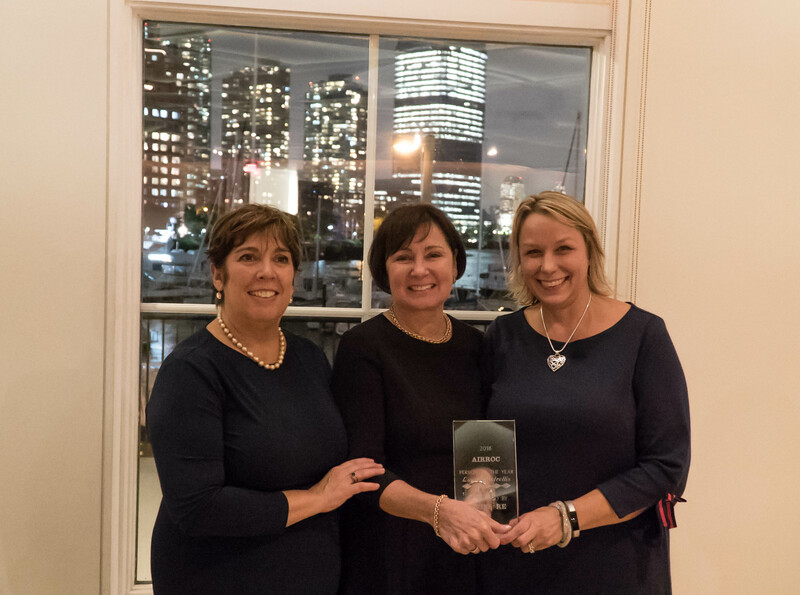 The award was presented to Luann on October 15 at AIRROC’s 14th Annual Forum in Jersey City, NJ. This award is presented each year to recognize individuals who have had significant impact on the run-off industry. In presenting the award, Carolyn Fahey, the Executive Director of AIRROC, acknowledged Luann’s credentials and significant experience. “The award was created so that AIRROC can give recognition to someone that has had an impact in the legacy sector of the insurance industry. Luann received 5 nominations! One of her nominator’s said about her – “no one is more deserving of this award for all she has done, in a very modest manner, in promoting restructuring legislation in the US,” said Fahey. Luann is a managing director in PwC’s insurance sector with 26 years of experience developing run-off and restructuring strategies for companies with discontinued insurance and reinsurance business. For over two decades, Luann served as a chief operating officer for global insurance carriers managing the run-off operations of P&C and worker’s compensation portfolios as well as ceded and assumed reinsurance business. Luann worked with the Rhode Island Division of Insurance on their legislation that provides for insurance business transfers (IBT’s), an innovative restructuring tool designed to enable companies to achieve finality for commercial P&C legacy liabilities. Recently, Luann has been very involved with the Oklahoma Department of Insurance in developing its own IBT statute and expanding it to apply to all lines of business. In her acceptance speech, Luann acknowledged some of the many people she has had the privilege of working with in her career and noted that working on new insurance restructuring legislation has been a unique opportunity to make a difference. She also highlighted the importance of AIRROC’s role in the industry stating that AIRROC works very hard to provide support to companies and that events like the Annual Forum are great opportunities to network with colleagues in the industry. AIRROC congratulates Luann on the award and for having the professional expertise, creativity and resilience in promoting restructuring legislation in the US and in helping to make the IBT statutes a reality. The past recipients of the AIRROC award include: Stephen Johnson (2017); William Flaherty (2016); The Reliance Team (2015); Anna Petropolous (2014); Karl Wall (2013); Robert Sherwood (2012); Gary Lee and Andrew Rothseid (2011); Mindy Kipness (2010), Barbara Murray (2009), Dan Schwartzmann (2008), Brian Snover (2007), Oliver Horbelt (2006), Paul Dassenko (2005). AIRROC’s vision is to be the most valued (re)insurance industry educator and network provider for issue resolution and creation of optimal exit strategies. AIRROC’s mission is to promote and represent the interests of entities with legacy business by improving industry standards and enhancing knowledge and communications within and outside of the (re)insurance industry.